Since 2016, Film Independent and The U.S. Department of State’s Bureau of Educational and Cultural Affairs have partnered on Global Media Makers, an innovative mentoring initiative connecting visual storytellers from the Middle East and Turkey with leading U.S. entertainment professionals in order to increase mutual understanding and promote people-to-people engagement. Film Independent’s Louay Khraish checks in to see what GMM Fellow Amr Salama has been up to lately—a lot, it turns out! Believe it or not, in the Arab world the main primetime TV season occurs during Ramadan—the traditional Muslim month of observance (taking place this year between May 15 and June 14). It’s a time for families to gather around after sunset, to break their fast and watch new shows. And each year, television networks compete for the highest ratings as they flood the market with new dramas and comedies. This year alone there were approximately 100 new programs premiering across the Arab TV landscape. Television production in the Arab world is transnational, and while series from Lebanon and Syria are popular, Egypt continues to hold the lion’s share with 30 new series produced this year specifically for Ramadan. Ramadan series air nightly for 30 days in a row. Year after year, the challenge for writers and directors is to keep the momentum of a show going for 30 straight days. More often than not these Ramadan series suffer from fluff and filler, as they struggle to sustain 30 whole episodes. However, this past Ramadan there was one notable exception: Tayea, a new drama directed by 2016 Global Media Makers Fellow Amr Salama. Now that Ramadan is over, Tayea clearly stood out among this year’s dramas. Set in Upper Egypt, the series interweaves storylines of family vendettas, unrequited (and forbidden!) love, Egyptology, antiquity-smuggling, Mafiosi, police and government corruption—even dealing with issues of discrimination, abortion and women’s rights. Breaking all the rules, the show was gripping right from the first episode—with Salama able to sustain the show’s punch, episode after episode. Shocking cliffhangers and dramatic wallop kept audiences glued to the screen. With smart twists and turns in the narrative, the drama also took over Twitter, with Tayea-related hashtags trending in Egypt and the Arab world for several days in a row. 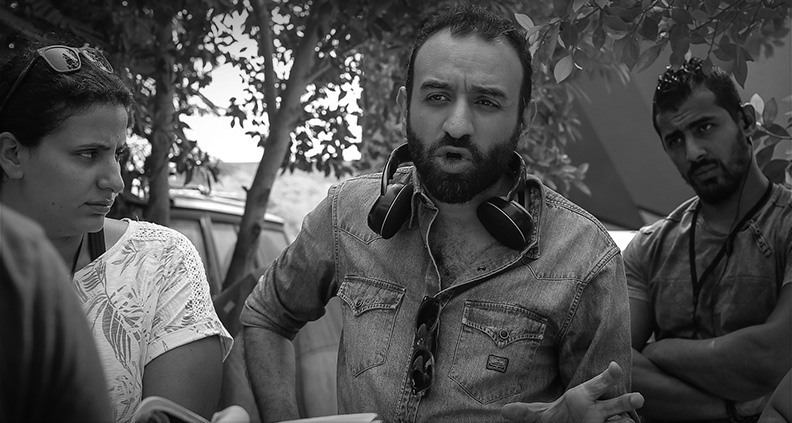 The series was written by filmmaker Mohamad Diab, his brother Khaled and sister Sherine. It’s common for Ramadan series to drag in the middle, but the Diabs created a riveting shift in the narrative halfway through the series (no spoilers here) that sent shockwaves across the Arab world. In an interview on the CBC, Salama said that his goal was to create a cinematic television experience. The filmmaker’s influences are evident in the show’s beautiful cinematography, lighting, music and stellar performances by the cast. In a conversation with Mohamad Diab in Cairo, the writer admits that the series was structured like a film with the 30 episodes divided into a three act paradigm with an inciting incident, turning points, obstacles and confrontations. Tayea soon became a household name. Even those who weren’t following the series began binge watching on YouTube to catch up with everyone else. With major beloved characters killed—including one of the stars of the drama, a move reminiscent of Game of Thrones’ infamous “Red Wedding” or The Good Wife’s “Hitting the Fan”—the Diabs turned the tables upside down. Audiences took over social media, expressing an intense and emotional response to the story’s dramatic shifts. But there was criticism. 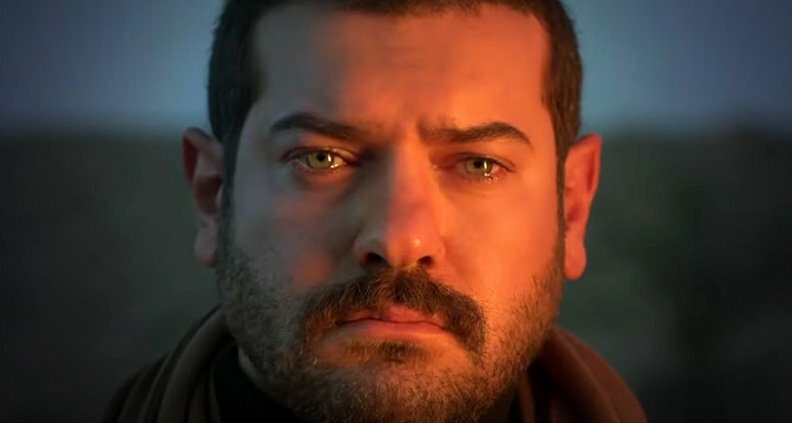 Some questioned Salama’s casting choices, beginning with Amr Youssef, the blue-eyed actor cast in the role of an Upper Egyptian. In interviews Salama defended his decision, saying that he wanted to defy stereotypical depiction of Upper Egyptians. The filmmaker broke stereotypes by casting South Sudanese actor Boutros Marco in one of the pivotal roles—such a prominent black character is a rarity on the Arab screen. While the drama leans heavily on male characters, the six female principals are fully rounded, complex characters. With every character, male and female, suffering as the victims of a culture built on vendetta, Tayea’s female leads stood out, as strong characters who forged their own paths and destinies, to great narrative effect. But perhaps the greatest challenge that Salama faced was time. In the Arab world, directors are given a very short time to film a series. Salama had 100 days to film 30 episodes on location, often in over 100-degree weather. The production was still filming six days before the series finale aired. But despite all the challenges, everything in Tayea is meticulously crafted. Amr Salama has directed a series that will go down in the history of Arabic drama as one of its best. And above all, we’re happy that Salama, whose film Sheikh Jackson participated in Global Media Makers in 2016, is part of the Global Media Makers family. To watch full episodes of Tayea, check out the below playlist. Just keep the spoilers to yourself! Sheikh Jackson is the story of an Islamic cleric that has a crisis of faith after the unexpected death of his lifelong idol — pop superstar Michael Jackson. The film was Egypt’s official submission for the Oscar for Best Foreign Language Film and can be viewed on iTunes. To learn more about the Global Media Makers program, click here. To learn more about this year’s Fellows, click here. To learn more about Film Independent, subscribe to our YouTube channel. You can catch up with the rest of our blog here. To learn how to become a Member of Film Independent, click here.